On March 21 at 2 PM the LVM Jaunmokas Palace will hold the Seniors’ Day. In honour of Latvia’s centenary and to its coevals a documentary film “100 gadi esības vējos” will be demonstrated, also meeting with the producer of the film V. Kagainis and the creative team, and also a small musical greeting in a spring-like atmosphere and tour through the palace with a guide. 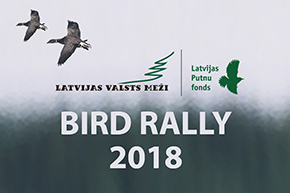 The documentary about the coevals of Latvia is a project of citizen initiative, which was created reacting to the invitation of government – that, if possible, each citizen should take part in the organising and participating in the centenary events. Our citizen initiative project could be made thanks to local governments of Latvian cities, non-governmental organisations, various associations, Latvian businessmen and good, nice Latvian people, relatives and friends of characters of the film. “The film is based on the brightest episodes from the memory stories of centenarians, their view on today and wishes to the future of Latvia! In more than two years period, filming the coevals of our country, the filming group has met with the eye-witnesses and participants of the creation of Latvia; with people who have lived through the history of Latvia and who strengthens historical and social history of our country. Conversations with the characters of film – it is a chance to save the legacy of the first centenary of Latvia's existence, by focusing on the portrayal of each person in the destiny of Latvia”, says the executive producer of the film, Valters Kagainis. Everyone is welcome to the event, but especially our experienced seniors, their friends and relatives! Senior citizens get a free entrance, but other visitors – entrance tickets of museum.